If you would like to learn how to make pizza art, there is no better place then New York to come learn with the Master of Pizza. We consult on wood fired pizza concepts, have one of the best pizza training programs in the world, and it’s all one on one. So if you’re thinking about opening a pizza restaurant and want to be an expert call us today and we will be glad to help you! Check out some of the amazing creations you can learn. This beauty won the first ever International Pizza Expo in 2007. 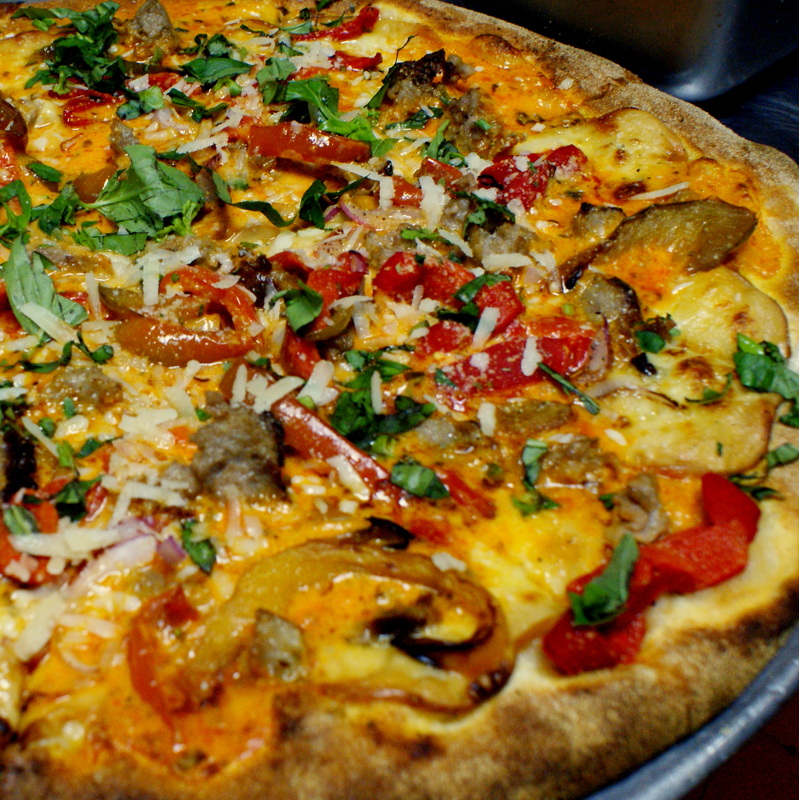 It consists of smoked mozzarella, roasted peppers, sausage, onion, basil, and reggiano. 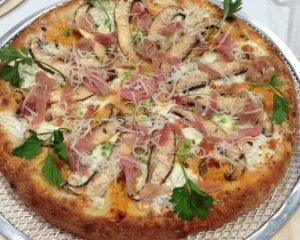 This baby won Best in the East Coast at the 2016 International Pizza Expo and came in 3rd overall in the finals. 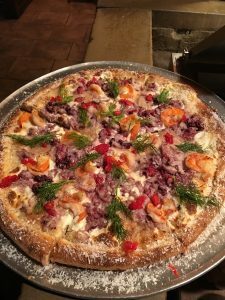 It consists of a black sambuca cream sauce, crab, shrimp, and lobster, with blackberries and raspberries. Invented by the Original Goodfellas in 1992, this won 2 national titles for best pizza in America. It consists of a Vodka Cream sauce, fresh mushrooms, peas, and prosciutto di parma. It also came in 1st for Best in the East Coast in 2014 at the International Pizza Expo. 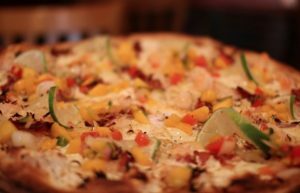 Another International Pizza Expo Winner from 2012- Andrew Scudera created the Tequila Pie – a Patron tequila cream sauce with shrimp and pancetta, garnished with a mango salsa and coconut crust.